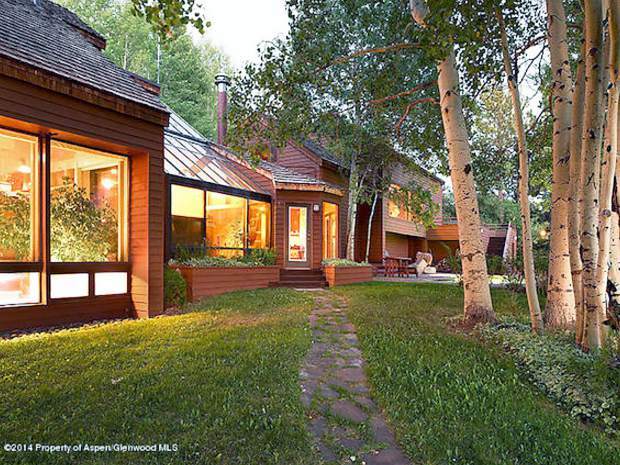 John Denver's former home and guesthouse have been on the market since last summer. The asking price is $10.75 million, and a Dillon man is aiming to raise the funds to create a center for peace talks. The new owners of the Aspen-area home originally owned by John Denver have no plans to raze and replace it with a new one. That’s according to Jim Bineau, who along with his wife, Anita, represented the buyers of the home. Public records show Kilfinnan LLC, controlled by local couple Denis and Kelly O’Donovan, paid $2.75 million for the 570 Johnson Drive property. The guest residence was not sold as part of the deal, which was made public Dec. 8 by the Pitkin County Clerk and Recorder’s Office. Jim Bineau said the couple plan to renovate the home, which originally was built in 1972 and remodeled in 1985. The home has a total heated area of 6,849 square feet with five bedrooms and 51/2 baths, property records show. While not technically historic — the property is not listed on any historic registers local or national, said Cindy Hoeben, Pitkin County’s director of Community Development — it is a treasure trove for Denver fans. “John’s spirit is there, I’m sure,” said a member of the Facebook page “Fans of John Denver Around the World,” which broke news of the sale Monday. It also was one the first homes built in the gated Starwood neighborhood around the peak of singer-songwriter’s fame. Dillon resident and radio personality Willie Hoevers told The Aspen Times in January 2015 that he was seeking investors to buy the property and convert it into a sanctuary for global peace talks. Hoevers said Thursday that the idea didn’t gain much ground. “As a John Denver fan, you can’t hang onto everything forever,” he said. Rumors had been swirling on social media that the new owners would tear down the home. “I know in the world of John Denver, people are up in arms,” Hoevers said. Some members of Fans of John Denver Around the World clung to hopes that the property will remain preserved. Bineau, a broker with Coldwell Banker/Mason Morse, said Denver fans can rest easy that the home won’t be torn down. Suzanne Wolff, assistant director of Community Development, which processes land-use applications for the county, said Thursday all that she was aware of for the property is a pending septic permit and a possible redesign of the home’s interior. The O’Donovans once owned and operated Finbarr’s Irish Pub and Kitchen in the Hyman Avenue Mall. Denver died in October 1997 after a private aircraft he was piloting crashed into Monterey Bay near Pacific Grove, California. He was 53. Survivors of Denver sold the estate in February 1999 to New York-based entity DBZ Trust. At the time, main home sold for $2.38 million and the guesthouse brought in $1.3 million. While DBZ sold the main home, it still has possession of the guest residence. Heidi Houston of Aspen Sales & Rentals represented DBZ in the transaction.